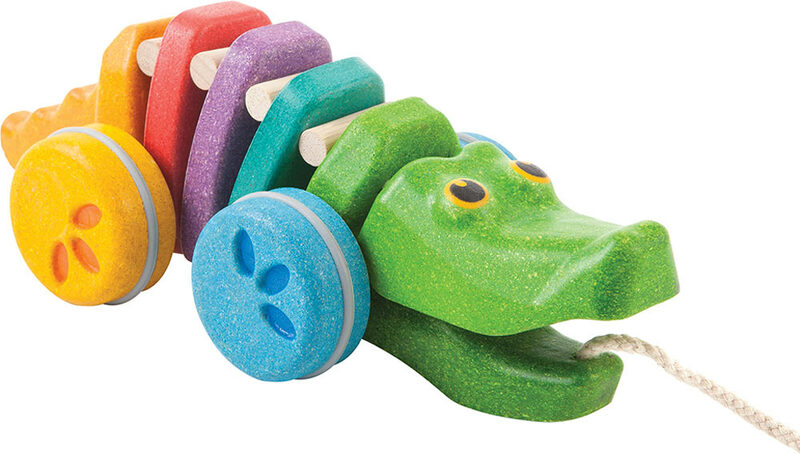 Click-clack, click-clack! 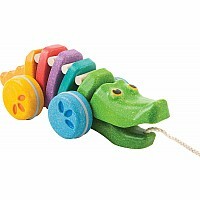 Little ones love the rhythm and bobbing head and tail of this colorful, pull-along gator! 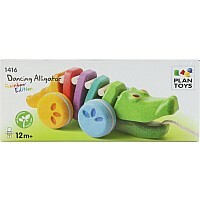 For ages 1-3 yrs, from Plan Toys.